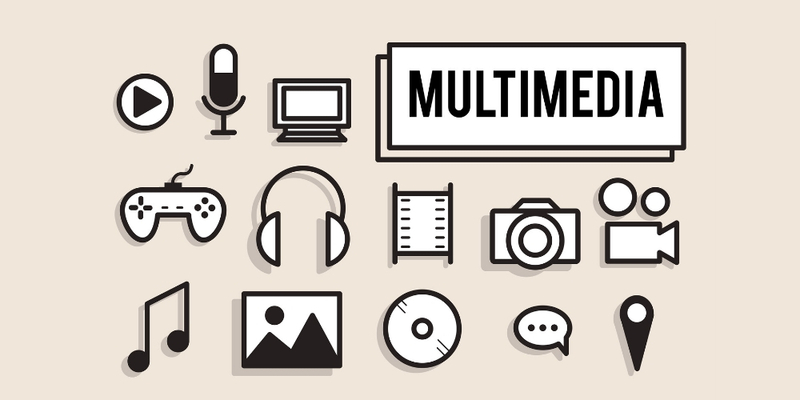 Multimedia field is an ever-increasing field that grows at a faster rate every year. This is the reason why just everybody wishes to make an entry into this field. The ones who are likely to get entry into the multimedia field can choose innumerable career options. However, what they require is a college degree/career-oriented courses and hands-on training to work in this field. Job overviews, salaries & job growth might also vary as per the career you have chosen. Most of the career options for multimedia require a bachelor degree/certification from animation institute and also a great aptitude for creativity & technology. Animators are more into creating drawings as well as other illustrations for the purpose of creating movement. These types of multimedia professionals can be absorbed in a number of industries such as gaming industry, web industry, film industry and television industry. There are a number of animation programs that are available today for the individuals who look forward to entering the multimedia industry. Some of these programs are related to media, technology and communications departments. Animation field is slated to increase every year and due to this, just everyone is looking forward to do animation courses. Animators must possess specialized courses to get into this field. The overall training as well as education curriculum of animation revolves around design, history, studio art and drawing. Animators are also required to learn a variety of computer programs that are used smartly to create art and digital animation. One can enrol into 1- 2 year digital design or digital communication courses. Web designers- the professionals who are behind visually appealing websites, are much in demand as they are involved in making different kinds of websites. These professionals create websites by using different fonts, HTML code, Adobe Flash components, colors and lend a great look to a website. Either they can create websites from the scratch or they can modify an existing website and give it a new and beautiful look. Web designers with good search engine optimization skills will definitely have an advantage over the others as in that case they will be creating the website as well as managing its rank on different search engine pages. Motion picture and video professionals are also the major careers of multimedia industry. These professionals create movies & web videos and documentaries with the help of multimedia concepts and theories. Candidates who are looking for making a career in video as well as motion pictures industry must develop digital video formatting, sound mixing and audio production skills. Many jobs in motion pictures and video field require varied education requirements. For instance, a motion picture producer job doesn’t call for any education requirement, but writers or actors need to undergo composition as well drama courses respectively. Another way to enter into this field is through internships or working behind the scenes of videos, commercial shoots etc. Graphic designers are also much sought after in the multimedia industry. These professionals are more into creating logos, designing of the web pages and laying out publications etc. Some graphic designers are involved in creating interactive games as well as visually appealing animations for the websites. Graphic designers can be easily absorbed in media and entertainment and get handsome salary for their work. If making as well as editing the videos suit you, you can join many industries such as journalism, advertising or entertainment etc. You can also work as a freelancer and make wedding videos and other types of special events. Positions in both editing and filming require a candidate to enrol into respective courses. During your course, you will learn a lot about technical aspects of editing footage and operating the camera and also the different artistic aspects related to filmmaking. Multimedia industry has a bright future owing to the latest technological advancements. Existence of multimedia is pivotal to a number of industries such as entertainment, communication, marketing, medicine, education etc. So, if you are a newbie making an entry into this field and have some doubts about the scope of this industry, then don’t worry as you have to go a long way with multimedia.